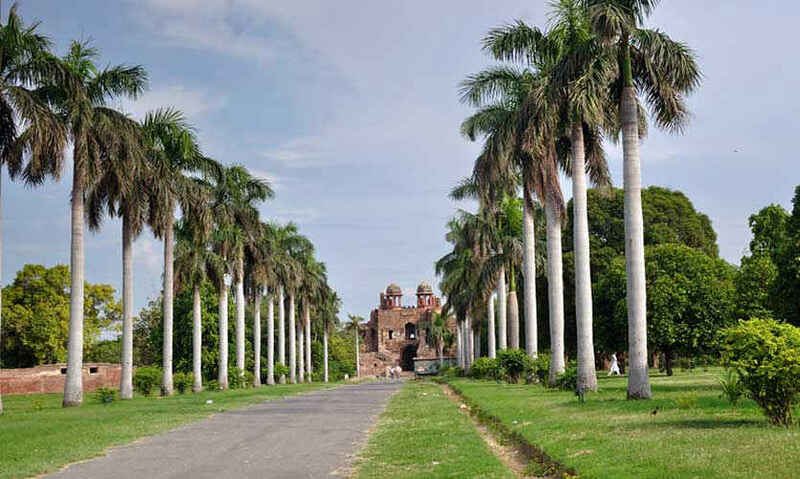 Purana Qila has several colossal gates on all sides including the gigantic Sher Shah Gate which now lies on the other side of the road. But out of all the gates, the Southern one called Humayun Darwaza (Gate) is the most interesting structure. It may not be as big as the Sher Shah Gate or the Bada Darwaza but is still significant in size and the architecture remains noteworthy. Read on! It is called the Humayun Darwaza although most probably it was built not by Humayun but by his nemesis, Sher Shah Suri. It gets this name in all likelihood because Sher Shah left it unemployed and Humayun completed it, but a more likely explanation is that the Humayun’s Tomb, another prime monument in Delhi, is visible from the walls of this gate on the South. An inscription on the gate refers to Sher Shah with the date as 1543 – 44 AD. The Humayun Darwaza dominates the southern horizon with its twin domes shaped like umbrellas (Chattris). From a distance it looks just like a flat wall as one walks past the smooth, palm lined path towards it. But as you come nearer, you realize that it is not just a mere gate but a whole structure built like a fort. The walls have large windows and the structure also continues underground, although that area is not accessible now. Several flights of stairs connect different parts of the gate. 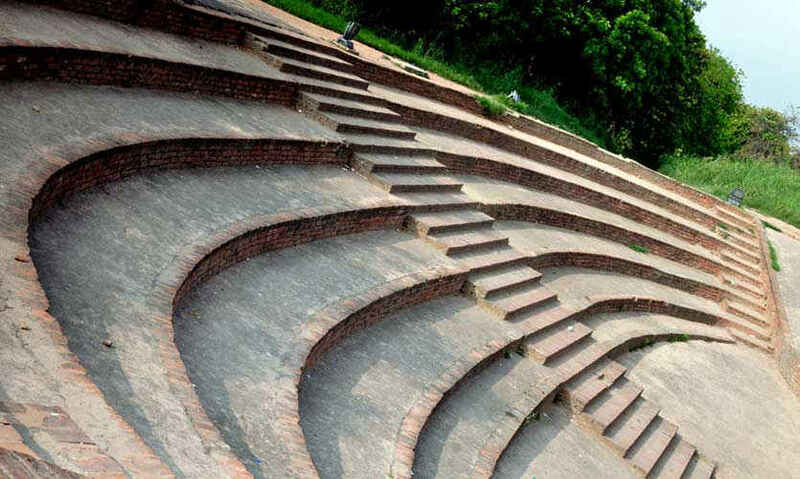 The semi-circular steps in front of the gate look like a galley, but in the opposite direction and so it&apos;s not certain what purpose they served. The interiors consist of several inner chambers but none of them are in use now and they are mostly kept locked. It may also be difficult to be able to climb up the top of the gate as the entry point is kept locked nowadays. The Chattris and balconies indicate a fusion of Rajput architectural styles with the Mughal ones. However the interiors have not aged as well as the exteriors. On the left side there are several square shaped, fat pillar-like structures. These are actually the remnants of the chambers that stood here. So, basically the gate used to be even more intricate in its heydays and was equivalent to a standalone fort in itself. 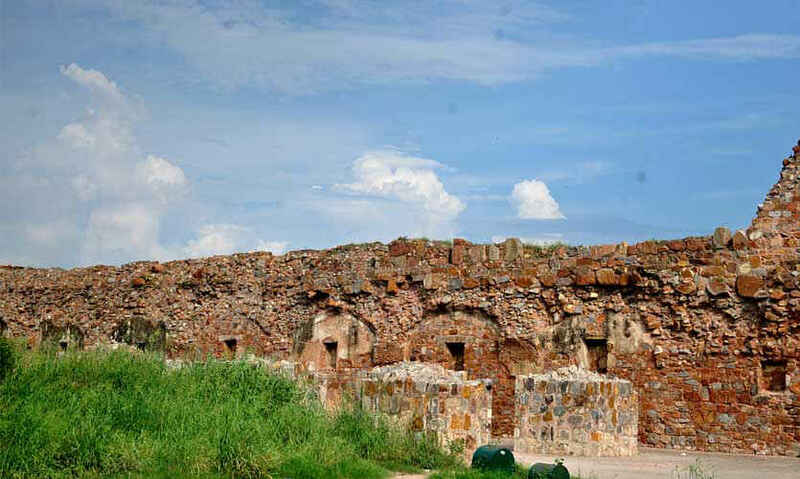 Some important excavations have been carried out in the jungles near the Humayun Gate. Some mud trails lead you inside the jungle but actually most of the recovered Painted Grey Ware artefacts have been stored in the Museum located within the fort complex itself. 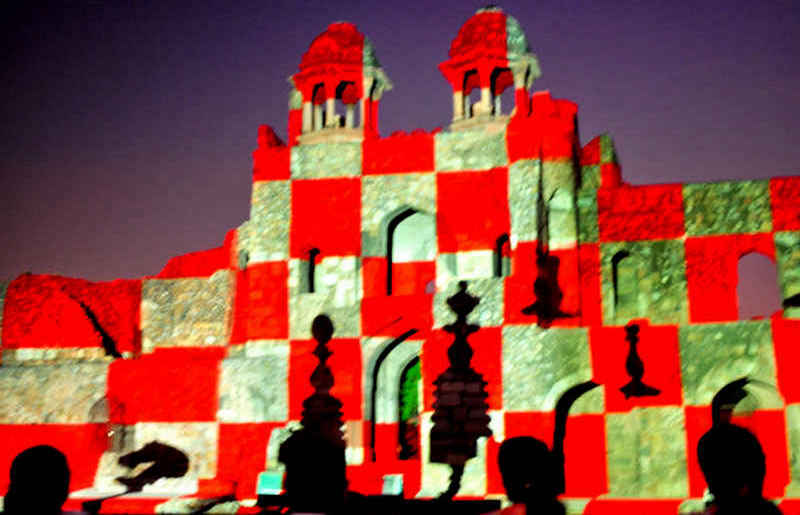 The Humayun Darwaza is also plays host to the famed Light and Sound Show of Purana Qila. It is arguably the best show of its kind in Delhi, as it tells the entire history of Delhi with brilliant visuals, music and storytelling. The show happens after dark and during the daytime, the chairs and other equipment are locked away inside one of those aforementioned chambers inside the gate. Take in the rich history and culture of the bygone area, and pack a picnic lunch while you&apos;re at it - the Humayun Darwaza needs to be explored!